While Americans will be reveling in leftovers following their Thanksgiving dinners, Canadians will have something other than turkey on their minds. The 99th Annual Grey Cup Festival is in Vancouver Nov. 24-27, 2011. Hosted by the BC Lions Football Club, highlights of the four-day festival include the Telus Street Fest, Friday-Sunday; Vanier Cup Championship at BC Place on Friday; Safeway Grey Cup Festival Parade on Saturday; and the 99th Grey Cup Championship at BC Place on Sunday. Plus all the other activities that make for a pre-winter celebration in Vancouver. Friday's Vanier Cup (Coupe Vanier) pits the McMaster Marauders of Hamilton, Ontario against Quebec's Laval Rouge et Or. I'd never heard of the cup, and discovered it's the championship game of Canadian Interuniversity Sport football, played between the winners of the Uteck Bowl and the Mitchell Bowl. The Safeway Grey Cup Festival Parade, which features Glee star (and BC boy!) 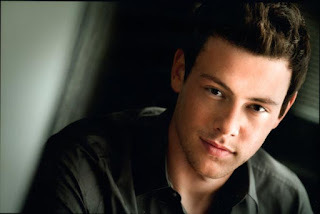 Cory Monteith as the Grand Marshal, is on Saturday at 10 AM. It begins at Smithe and Hornby, turning onto Burrard toward the water. While part of the procession travels west on West Cordova, the other will travel down Canada Place Way. It will end at the Nissan Family Zone in Jack Poole Plaza around 12 noon. Organizers are expecting about 125,000 people for the family event. The 99th Grey Cup on Sunday decides the champion for the 2011 CFL Season. This year's contest is between Eastern Division champions Winnipeg Blue Bombers and the hometown Western Division champions BC Lions. It's only the second time the two teams have faced off for the Grey Cup -- the other was in 1988 during the 76th Grey Cup. It will be played at the recently refurbished BC Place Stadium, which now has a new retractable roof as part of its $458 million renovation. Entertainment for the Grey Cup's Pepsi MAX Half-Time Show will be provided by multi-platinum selling rock band Nickelback. The Canadian band members (Chad and Mike Kroeger, Ryan Peak, Daniel Adair) are originally from Hanna, Alberta. They're now based in Vancouver. Elsewhere, Colin James will be taking his full band to the Molson Canadian House, which features entertainment throughout the weekend. As part of the Vancouver Convention Centre West, it's open to ages 19 and over who want to enjoy a cold beer and cool music. Colin peforms Friday from 9:30-11 PM. Click on for the complete schedule.